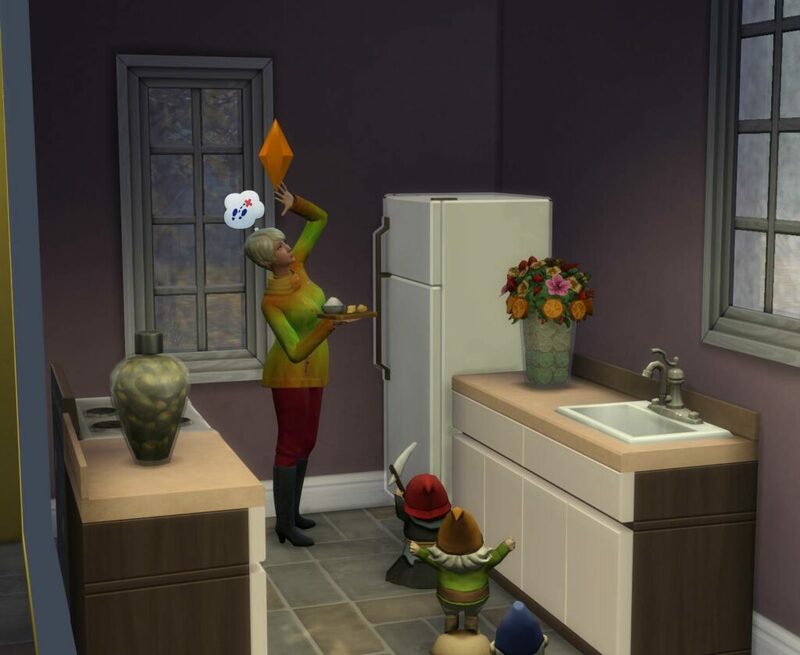 When I tell my Sim to cook something, they refuse to do it. Either they just stand around or they wave as if they can’t get to something. The Cats & Dogs Patch broke most CC benches and sofas and if you have one of those on your lot, you won’t be able to cook. Toys or similar block the way. There’s three different sizes of pot racks. Each having issues with different wall heights. You can place the normal one on low but it will lead routing issues, same with medium on medium wall height and large on tall walls. There’s also some ceiling lights that have the same issue. If you’re using moveobjects a lot to place something, that can lead to problems too. Check on all decoration and lights in your kitchen if they are not blocking. Repair sofas and benches with Sims4Studio. There’s a batch fix for it. Make sure that at least one of the counters has free space and no clutter on them. You need a free space to prepare the meal. To cook something you need a fridge and depending on what you cook a free counter and a stove/microwave. Remove any stated meals in the oven with Empty Oven to free up the oven. If the option is not available, buy a new oven/microwave. Make sure there aren’t any toys or similar cluttering up the floor.